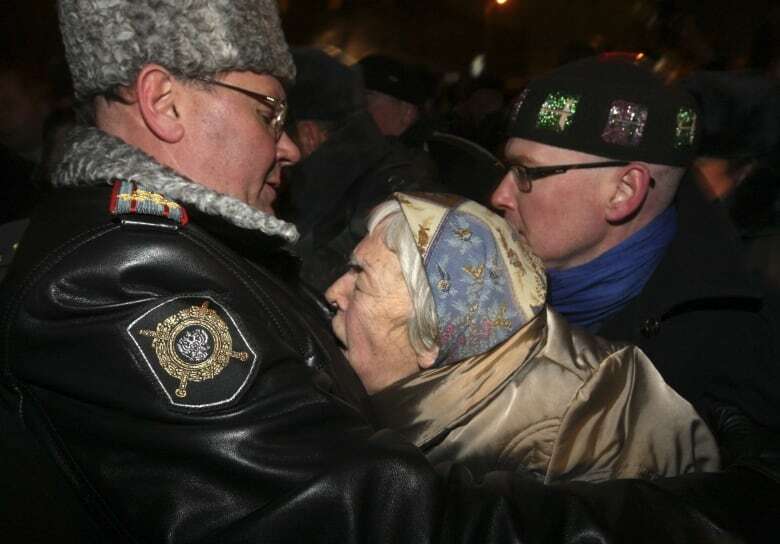 Alexeyeva was known as the "grandmother" of the Russian human rights movement. Whenever Russian activist Lyudmila Alexeyeva was questioned by the secret police, she would bring a ham sandwich, an eclair and an orange. The rich foods were a delicacy in the 1970s Soviet Union, and Alexeyeva liked to eat them in front of her interrogators just to mess with them. "That was Lyudmila for you. She was always an optimistic person who would make the best out of every situation," said Tanya Lokshina, Alexeyeva's friend and colleague. "She would do the best of making the interrogators' lives miserable, which was, under the circumstances, the right thing to do." 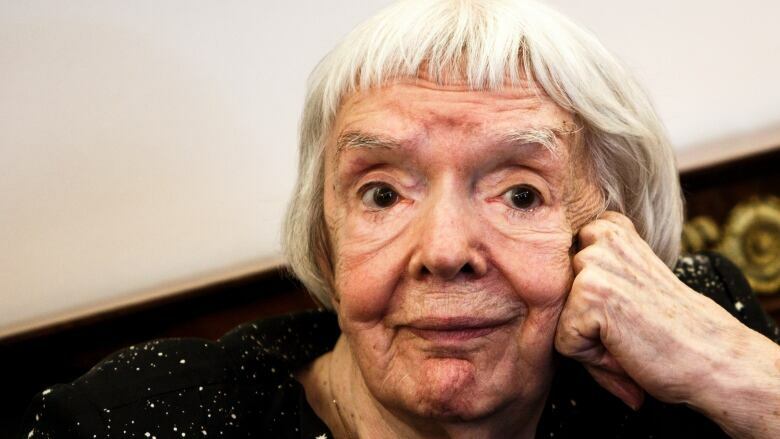 Alexeyeva, known as the "grandmother" of Russia's human rights movement, died on Saturday at the age of 91. 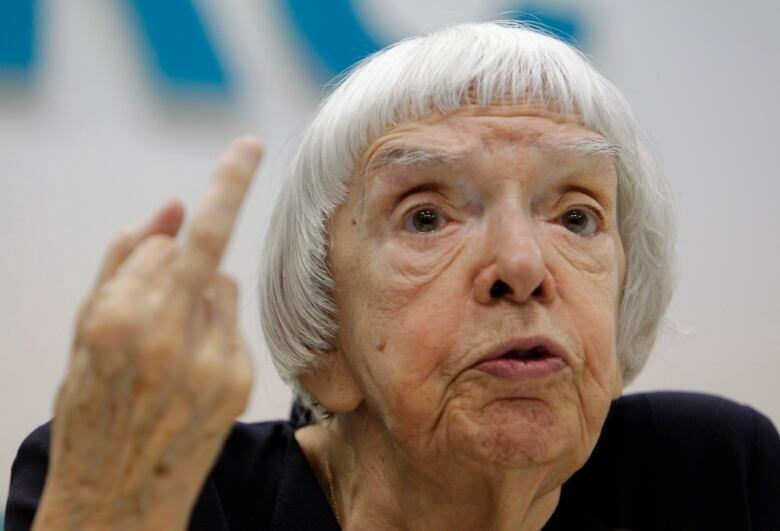 Alexeyeva, the co-founder of the Moscow Helsinki Group rights organization, spent her life fighting for human rights, first in the Soviet Union, then while living in exile in the United States, and back home in Russia under the rule of President Vladimir Putin. Lokshina, who works for Human Rights Watch in Moscow, spoke to As It Happens host Carol Off about Alexeyeva's life and legacy. Here is part of that conversation. Tanya, first of all, I'm sorry for the loss of your friend. It feels like she's been around forever and she would be around forever. I totally realize that the latter sounds completely unrealistic, but she really felt like someone who death could not touch. One of the things she always said in her arguments were that you're not going to see democracy in Russia or the Soviet Union by replacing one strongman with another, getting a kinder, gentler strongman. It's by getting the rule of law, getting, as you mentioned, a civil society built. Was that her objective in her efforts as a human rights activist? That was precisely her objective, and she did her absolute best to help Russian civil society develop, and she also did her absolute best to help victims of abuses, to reach out to specific victims, to meet with people and listen to people from across this huge country, to take their causes to heart and to actually help them. Moreover, she has this amazingly impressive skill of finding the right language, the right words to address very different audiences, including high-level officials, very powerful interlocutors. And her presence was such that she simply had to be reckoned with. They could not possibly ignore her, and they kept talking to her. There is an extraordinary photo. You said she could speak to anybody in their language. She could speak to Vladimir Putin. 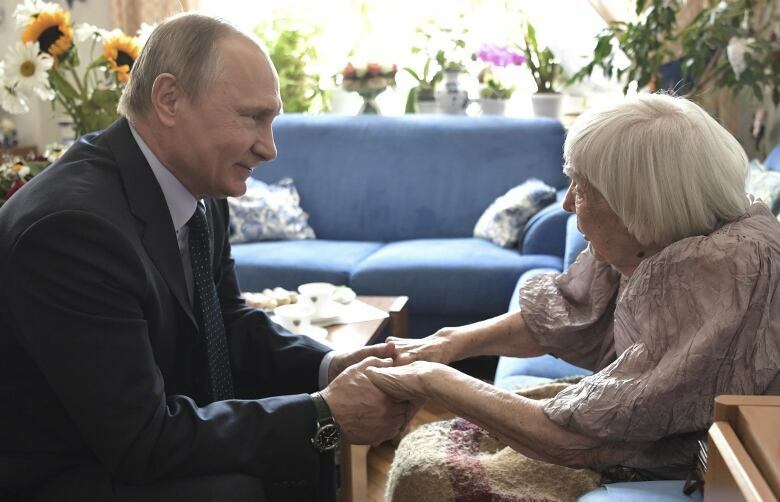 Not many human rights activists get anywhere with him, but on her 90th birthday, he is visiting her — brought her a gift, in fact — and he seems to be wanting to be her friend. What do you make of that photo and that encounter? President Putin used Lyudmila Alexeyeva, to a certain extent, in his attempts to split Russian civil society into "good" rights activists and "bad" rights activists — the good ones who are patriotic, who do not accept foreign funding, and the bad ones who are linked too closely with Russia's ... enemies. The gift that he gave her was, in fact, a painting of a small town in Crimea where Lyudmila had been born back in 1927. At that particular moment, she did not realize that by bringing her that particular gift, the president was also using her image to legitimize Russia's occupation of Crimea. That action on his behalf was extremely inappropriate and, at that time, rather typical. What's missing for you now? Because I know she was quite a mentor for you. She was a constant source of optimism. You know what? It's bad, but it's not the end of the world. I remember the Soviet Union. I remember that harsh totalitarian state over which we won in the end, even though our cause seemed to be helpless. If we could do that, we are going to win now as well. We just have to have some patience. That message, I think, was extremely important for people of my generation who do human rights work in Russia and other repressive countries. And not being able to hear it from her personally once in a while, and just to see her smile and shrug, that's really quite a loss.